Foxnews.com has an article on how to avoid conflict with your neighbors when designing and building a fence. Despite the fact that they too quote Robert Frost in the very first line of the article (it must be obligatory to mention the Mending Wall poem every time a mainstream writer talks about fencing), some of the tips that they give are really useful. Our featured customer project this month comes from Russ in North Carolina who used Large Oz-Brackets to build this beautiful wood fence on sloping ground. You'll notice that Russ chose to stair-step the fence panels, meaning that each successive panel is a little higher than the next. The result is that the fence follows the angle of the ground, but the top of each panel is perfectly level. Looking at photo above would lead one to believe that the entire fence is constructed of wood, but that isn't true. Russ actually used 2 3/8" metal posts to anchor the fence in the ground. 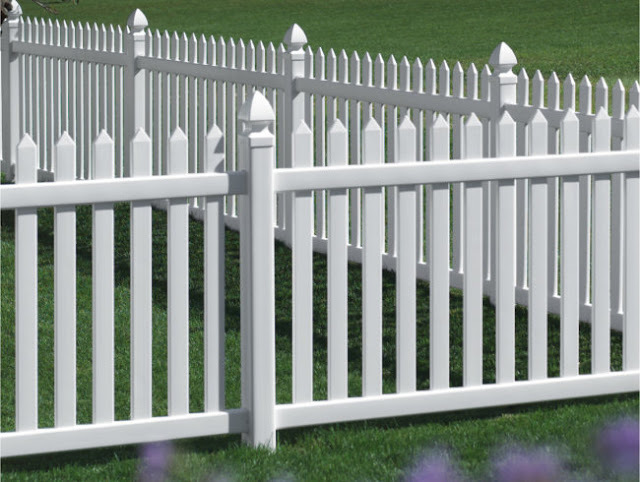 Metal posts have a much longer life in the ground than wood because their not susceptible to rot or insect damage. To accomplish the natural look of all wood, Russ built a wood facade around the metal posts using OZ-Brackets and wood boards. From the neighbor side of the fence, its nearly impossible to tell that he didn't use wood posts. 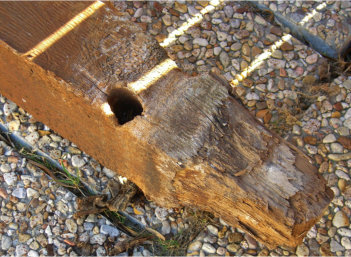 To the left is a closeup of one of the wood facade columns that Russ built around the metal post. He used 5/4 x 8 boards to give the columns more depth. You can also see the large OZ-Brackets on the top and bottom rails. The large brackets have extra long tabs and enough wood screws to fasten the sides of the facade walls and also the horizontal rails. When the fence is finished, the brackets are covered by the wood boards, so nobody knows they are there. Below is a picture of the fence halfway through construction. You can clearly see that while the top of the fence is perfectly level, the bottom of the fence follows the slope of the terrain. Building the fence this way ensures that there are no large gaps at the bottom of the fence that animals can crawl under. Kudos to Russ for a job well done, and many thanks to him for sharing the photos with us and our readers. If you are a customer of Signet Fence that has a great fence or railing project that you'd like to share on our blog, drop us a line at info (at) signetfence.com. A+ for creativity and effort, F for execution. 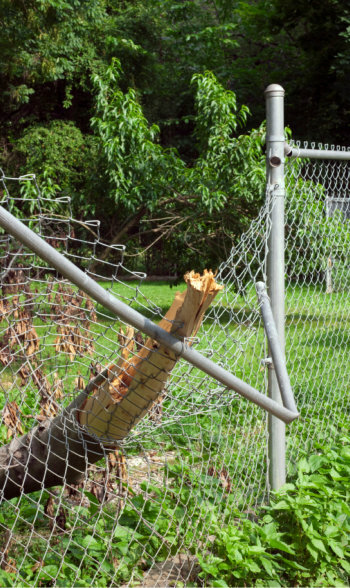 Hurricane Sandy is bearing down on the Northeast U.S. and, while it may be too late to protect your fence from her wake, it is a good opportunity to share some tips for avoiding future storm damage to your fence. 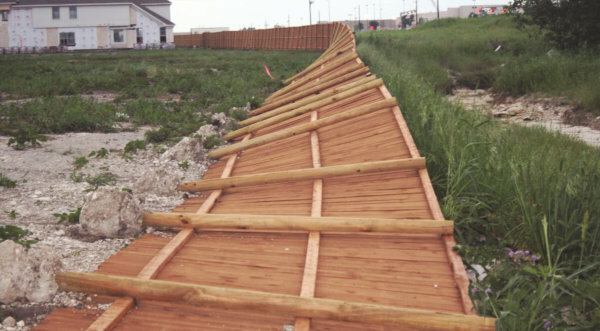 Here Are 5 Steps You Can Take To Protect Your Fence Against Storm and Wind Damage. Don't let your fence end up like the one on the left. The vast majority of storm fence damage we see comes from tree limbs falling on the fence and crushing one or more sections. In most cases this is easily prevented by removing overhanging limbs. If the fence is yours, but the tree is on a neighbors property, ask them if you can have the overhanging limbs removed. In most cases they will agree. And remember, it's not only hurricanes and/or high winds that can cause tree limbs to fall; many customers over the years have had limbs fall because of heavy snow storms. Also remove any dead or dying trees near the fence as they are the most likely to uproot and fall during a storm. A stiff wind can make that garden gnome fly as far as Travelocity. Anything that can get picked up in high winds is a potential threat to your fence, your cars, and your home. When you know a storm with high winds is coming put patio furniture, trash containers, grills, flowerpots, etc. in the garage or other enclosed area. In a pinch, you can sink patio furniture to the bottom of a swimming pool, just be aware that it can damage the liner of your pool if done incorrectly. 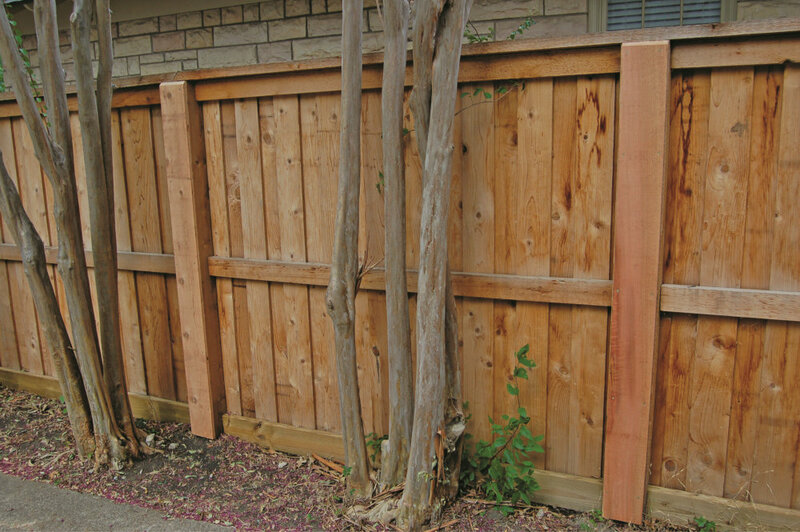 Loose or damaged fence posts and sections are the most susceptible to high winds since their stability is already comprimised. Remove and rebury any posts that have started to lift out of the ground due to frost or prior wind damage. 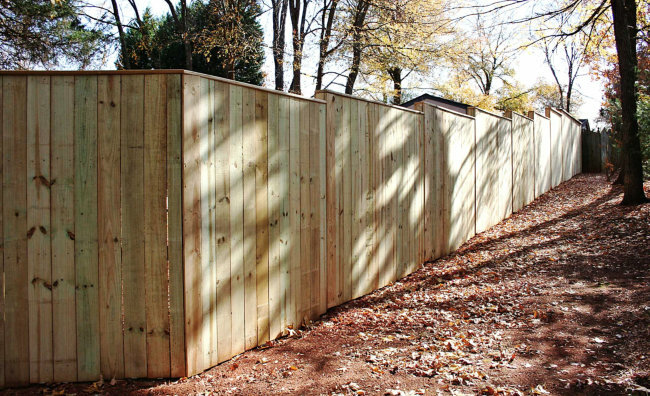 Fix any loose or damaged boards on wood or vinyl fences as they can break off and create a ballistic hazard. If you live in an area of frequent storms or high winds you should consider reinforcing your posts and rails with wood, metal, or concrete. 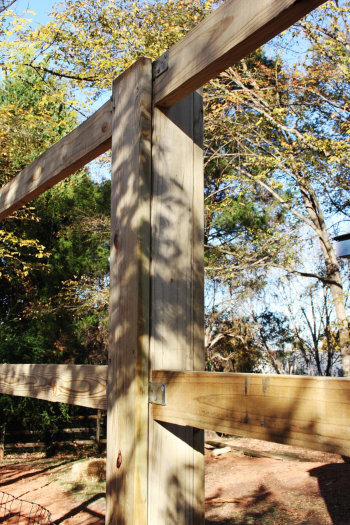 If your fence manufacturer offers steel or aluminum reinforcement channels for your posts, adding them at installation will up the cost of the fence, but will reduce the likelihood of wind damage in the future. If you don't have a good lock on your gate, use a padlock or chain to secure it. The last thing you want in high winds is for your gate to start slamming against the fence, or worse, the side of your house. If the gate is easy to take off the hinges, even better; take it off and store it in the garage until the storm passes. Have any other useful tips for storm-proofing your fence? Let us know in the comments section and we'll update this post with them. 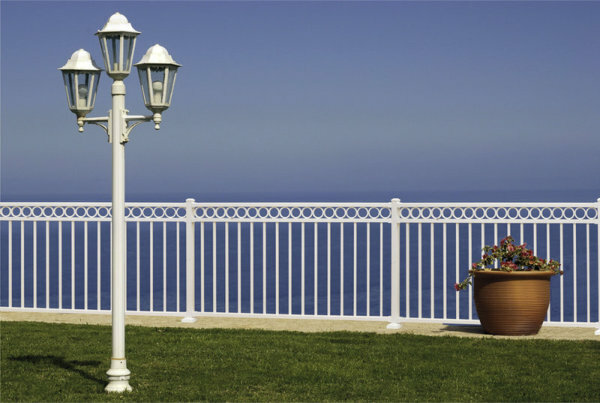 The decorative rings of the Westbury Riviera C30R Aluminum Railing add style and break up the clean straight lines of the standard 3-Rail Riviera. Available in both 36" and 42" heights, multiple widths, and 10 stunning architectural grade powder coated colors. 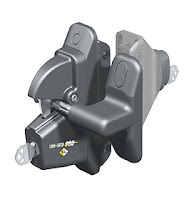 D&D LokkLatches are some of the most reliable, easy to install latches around. Featuring a tough polymer construction and stainless steel internal components, these latches will last a lifetime (as guaranteed by the limited lifetime warranty). With 4 innovative models, one of the questions that we get asked most often about the LokkLatch is which model to choose for which application. That's why we've put together this short article on the different uses for each. 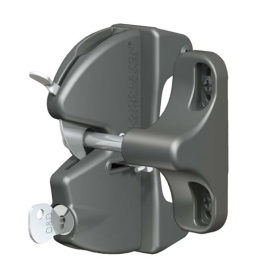 The LokkLatch Series 2 is a great all-purpose, lockable gate latch for residential use. 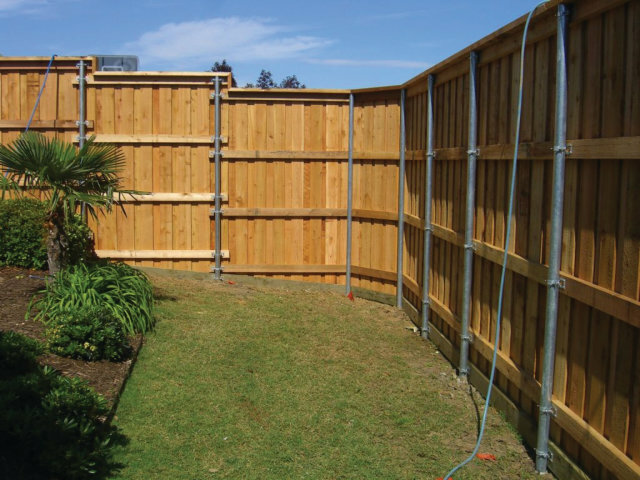 The easy installation and functionality make it ideal for privacy and ornamental fences around the home or garden. 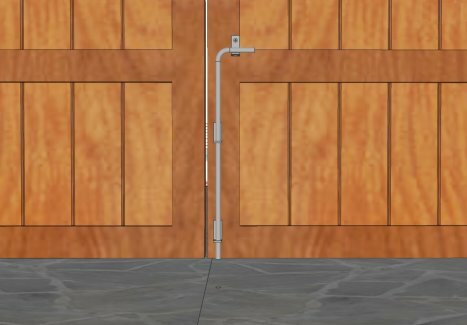 The Series 2 can be used on left or right hinged gates and is vertically adjustable up to 1/2" both during and after installation. The LokkLatch Round Post Model offers all of the same features as the Series 2, but is made to fit round posts with diameters from 1 7/8" x 2 7/8" and gate frameworks of 1 3/8" and 1 5/8" diameters. A great self latching gate latch for residential chain link security and pool fences. The LokkLatch PRO-SL is D&D's high end security lock which combines all of the features of the LokkLatch Series 2 with automatic locking capability and dual re-keyable 6-pin locks. The PRO-SL is perfect for both privacy and security gates, particularly at commercial properties like condos, apartments, and offices. 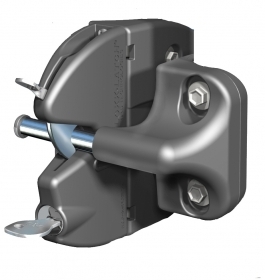 The LokkLatch Pro comes standard with external access and can be locked on either side of the gate. It fits square gate posts up to 6" wide. The LokkLatch Deluxe is a slimmed down version of the LokkLatch PRO-SL which offers the same security features like dual 6-pin locks and 316-grade stainless steel components. The main difference between the DELUXE and the PRO-SL is that it has a smaller profile and does not come standard with the external access kit. 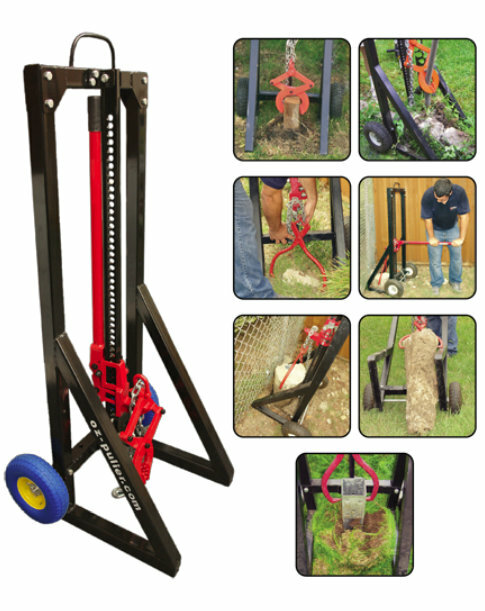 LokkLatch External Access Kits enable you to open the gate from either side of the fence. All of the LokkLatches, except for the Pro-SL, open only from the side of the lock (usually inside the fence) unless you purchase an external access kit. Looking for the right D&D LokkLatch? You can buy any model of the D&D LockLatch plus many other types of latches in our online store. 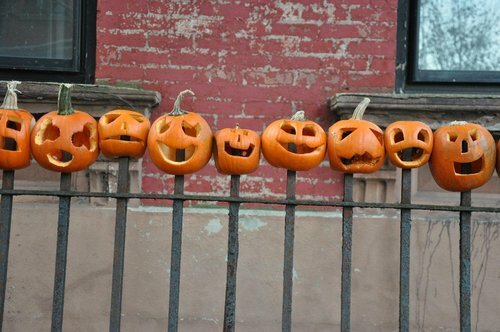 Check out this knarly halloween decorated fence in Brooklyn, NY nicknamed the "Pumpkin Impaler". The 14 year tradition was started by Jane Greengold, a lawyer and artist that devotes one day each week to public art projects. Each year at Halloween she, along with family and friends, hand carve 274 pumpkins, place them on the spear point finials of this old iron fence, and then light them up at night. Apparently it's a big hit with the over 800 local trick-or-treaters. It's a neat Halloween Decorating idea, and the fence itself already looks pretty beat up, but please don't ever do this to you're powder coated aluminum or steel fence. It's just inviting rust and corrosion, and think of the cleanup afterwords. Your deck is finally finished and it looks great, but you and the fam can't fully enjoy it safely until you get that railing up. Almost all of the measurements are made, but those darn stairs are the tricky part. 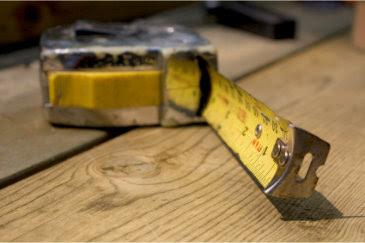 You're not sure exactly what measurements you need to make or how to make them. Sound familiar? Don't worry, we hear this all the time; even from professionals. Measuriing for outdoor stair railing can be tricky. That's why we've put together the following guide below with step by step instructions to help you get it right. Measure the rise/run of your stairs. The rise is the vertical distance that your stairs cover. You can measure 1 step from bottom to top (a) if your stairs are all a uniform height. If not, measure the entire rise from the ground to the top of the top step (A). 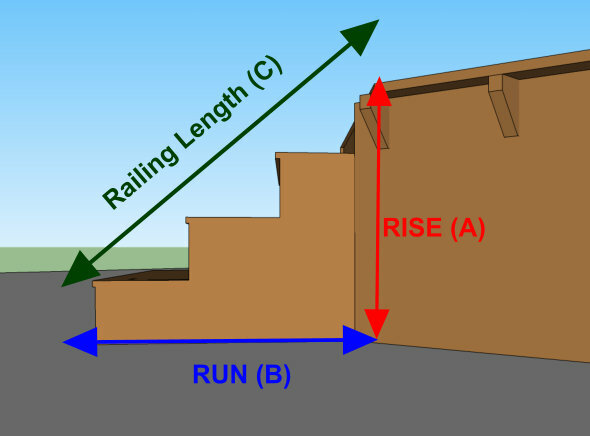 The run is the horizontal distance that your stairs span. Again, you can measure 1 step tread from front to back (b) if your stairs are uniform. 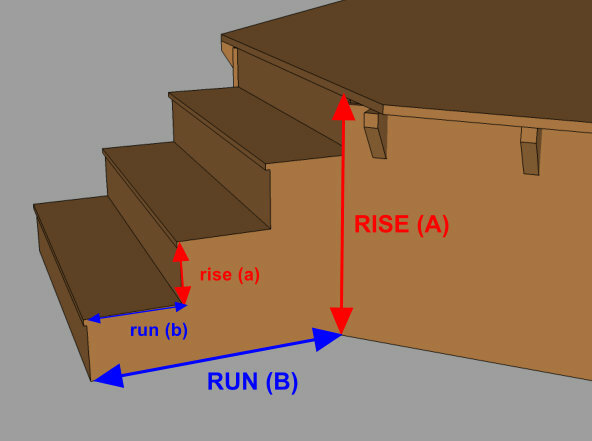 If not, measure from the bottom edge of the first step to the point on the ground under the edge of the top step (B). 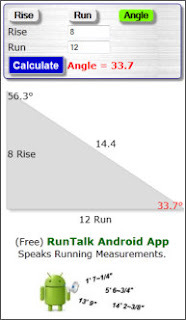 2) Plug the rise/run into an angle calculator. No need to be overly complicated here and work out the trigonometry ourselves. There are plenty of free tools online to calculate angles. Try this one, which can be accessed through the web, or downloaded as an app. Make sure to hit the angle button before entering the rise & run, then hit calculate. In the drawing above, the rise is the distance from the surface of your deck to the ground. The run is roughly the distance from the spot on the ground where your railing post will be anchored to the spot on the ground under where your top railing post will be anchored. That's a little different measurement then the rise & run in the angle calculation above. The reason is that the length of the railing depends on where you set your posts. Remember in high school when you slept through geometry on the premise that you would never use it? Well, think again. Calculating the length of your stair railing actually is actually based on a fundamental relationship in geometry called the Pythagorean Theorem, which basically states (in terms of railing) that the squared length of your stair railing is equal to the squared rise of your stairs + the squared run of your stairs, or A^2 + B^2 = C^2. For example, suppose your rise & run (A & B in the drawing above, respectively) are 40" & 60". So the length of stair railing that you need is 72.11 inches. Which brings us to another important point. Since most outdoor stair railings come in whole sizes like 3ft., 4ft., 5ft., etc. what do you do when your measurment is between 2 sizes? The answer is that you probably need to round up to the next size. In this case though, .11 inches isn't very much and we could probably move our posts closer together by that much and stick with the 72" or 6' railing. So, that's it. it might seem like a lot of complicated steps, but it's actually pretty easy once you get started. Of course, if you need help, you can always email us and we'll be happy to help you. Once you have all of your measurements in hand, you're ready to order your outdoor railing system. 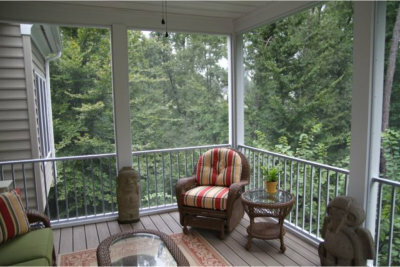 Check out the fantastic Westbury Aluminum Railing System. It comes in multiple styles, sizes, and colors and it's easy for do-it-yourself installers. This fence in Maui is made from over 800 recycled surfboards. And, while we wouldn't really recommend putting this in your backyard in Ohio or Wisconsin, it is a pretty cool way to avoid the landfill. If only there were a surfboard sized Oz-Post. To see more, check out the slideshow at USA Today. Waking up this morning and seeing the first frost on the ground was a great reminder that winter is just around the corner. And, while it isn't quite time to put everything away just yet, it is a good time to start winterizing some of the equipment that you aren't likely to use for the rest of the season. That includes power equipment like lawn mowers and weed trimmers, as well as tools like shovels, hedge clippers, and post hole diggers. 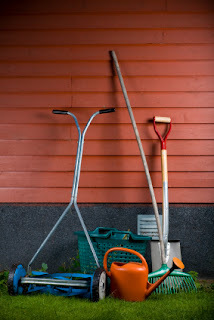 Winterizing lawn and garden equipment doesn't take very long and is a great way to ensure that tools remain usable for years. One of the subjects that we've been contemplating writing about is an introductory buying guide to chain link fence to help do-it-yourself installers. While doing research on the topic to come up with ideas, we came across this great chain link article from DoItYourself.com which discusses most of what we would have wanted to write about. In particular, it covers all aspects of chain link, including: wire fabric, framework, posts, fittings, and gate hardware. It also discusses benefits and drawbacks to various steel gauges and coatings (ie. galvanized, aluminized, and pvc). All in all, it is a thorough introduction into the finer points of chain link fencing. So, rather than re-invent the wheel, we'll provide some of the articles key points below and recommend that you read it in its entirety if you are thinking of building a chain link fence. Match your gate framework and fabric to your fence. 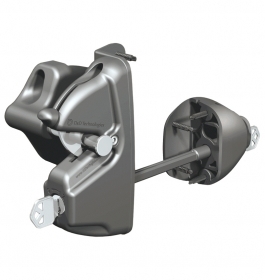 Choose high quality fittings to ensure better performance from your fence and gate. 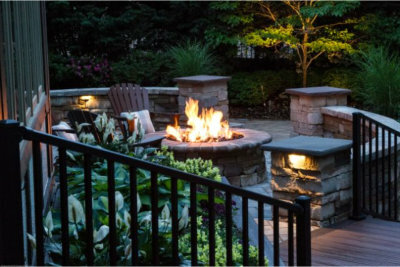 Our featured customer projects this month are from Delightful Gardens Landscape Company, a design and build firm that has served Williamsburgh, VA and surrounding areas for over 20 years. Company Owner Don Newsom was kind enough to share some recent examples of their work with us. Check out the awesome pictures below. Description: Composite decking materials, PVC trim, and Westbury Aluminum Railing were used to meet the customer's primary goal of reducing maintenance. He considered PVC railing and composite railing, but eventually settled on the Westbury based on appearance and cost. Description: This project was designed by Delightful Gardens to provide a sense of connection between the elevated first floor of the house and the garden below. Planters and Westbury Aluminum Railing were used to maintain the view of the lake from the deck and from inside the house. 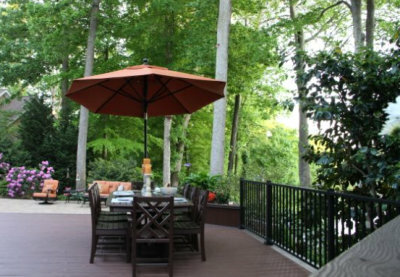 Description: Don and his team used Westbury Railing to provide a sense of space and dimension on the deck without cutting off the view of the adjacent patio and landscape. If you are a Do-It-Yourself or professional customer that would like to showcase your fence or railing project on our blog, send us an email with pictures and a description of the project to info (at) signetfence.com. 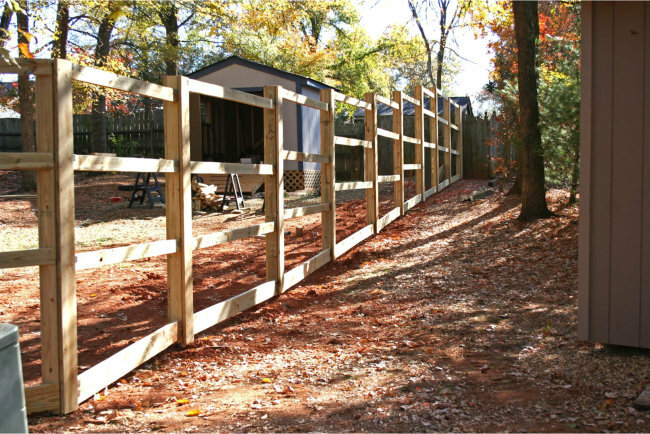 Hiring a Fence Contractor. Tips to Protect Yourself from Scammers. It's inevitable. Every time there's a slowdown in the economy, or a natural disaster, the number of people looking to take advantage of others seems to increase exponentially. Lately, we've been reading a lot of stories about criminals posing as legitimate contractors, taking payment for fence installations, and then never showing up to do the work. The vast majority of contractors are honest, hard working people just trying to make a living; but, just like in any industry, a few bad seeds make life harder for the rest. That's why its so important to know who you're hiring and to take steps, like the following, to minimize your risk. Ask for proof of insurace - Liability and workers comp. insurance are required for any above-board contracting company. If the contractor doesn't have workers comp insurance, you could be liable for any injuries that happen to them or their crew. Never pay in full up front. In fact, if you're contractor suggests this...Run! But, it is common for contractors to ask for half up front and the remainder on completion. They do this because the materials are usually half the cost of installation and they figure that if you stiff them, at least they can cover that expense. Depending on the contractor, you may be able to negotiate that down to 1/4 up front. Remember, the less you pay at the begining, the less risk is involved for you. 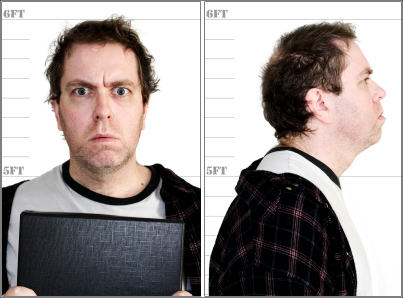 However, don't pass on a well respected contractor just because they ask for half up front. 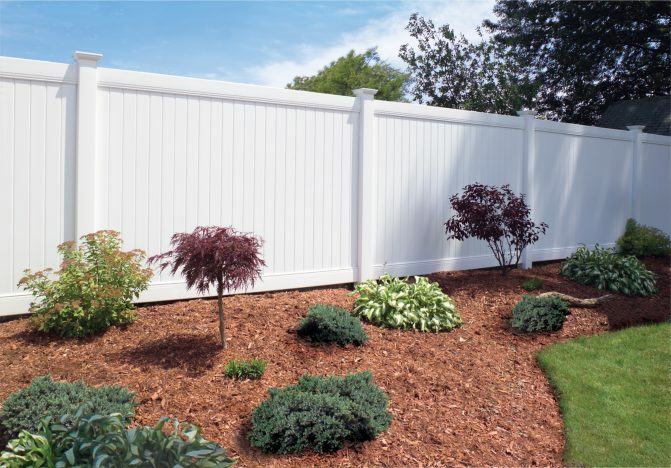 The best way to find a great fence installer, or any contractor for that matter, is to get a referral from friends and family, or find them through an online review site like angieslist.com or localpages.com. Often the best contractors don't have big sales teams or spend thousands on flashy advertisements; they know their work speaks for itself and a steady flow of referral traffic keeps them busy. Buy your materials separately. If your contractor is demanding half up front, order your materials online and have them delivered to your home, so that you are only handing over half of the labor costs. But be careful, some contractors won't install materials that you haven't purchased directly from them. 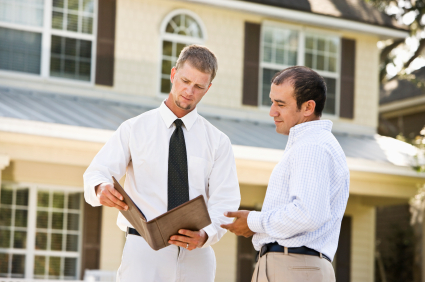 Don't automatically choose the least expensive estimate. Grandma always said that "you get what you pay for". Often, the contractors that give the lowest estimates are able to do so for a reason. Either they are using inferior materials, cutting corners in the installation, or lack experience and are trying to build a reputation. Every once in a while, you get lucky and find a great contractor at the best price. Just make sure that you've done your homework first. 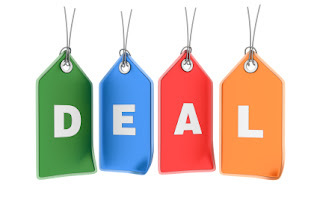 Our new clearance fence section is now live and we're kicking it off with huge savings on an overstock 209 ft. commercial grade Regis 4233 fence system. We'll continue to add deals every week, so keep your eyes peeled because we only have a limited number of most clearance items. 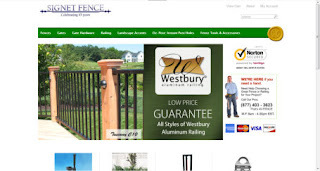 Signet Fence store: new look, same great products and service. In the last couple of months, we've moved our entire inventory of fencing materials to a new online store which allows us to provide you with better features and service than ever before, including: more products, weekly clearance fence deals, lower shipping prices, higher security, and an easier checkout process. Check it out and let us know what you think. As always, we'll continue to grow our product offerings and make improvements based on your feedback. To contact us, you can email us at info@signetfence.com. If you want to add a little flair to your fence design, get non-linear with arches. Arched fence panels and gates can break up the continuity of your fence line and give it a more dynamic and customized look, particularly if there are an abundance of straight-rail fences in your neighborhood. Or They Can Be A GRAND Way To Enhance The Elegance Of Your Estate Gate. We sell a wide variety of Arched Fence Panels and Estate Gates. If you would like more information, email us and one of our fence pros will be happy to help you. A Cane Bolt, also known as a drop rod, is a simple gate latch that consists of a long metal rod with a curved handle; it attaches to a gate by one or more fasteners. A cane bolt's operation is very elementary...it uses gravity. 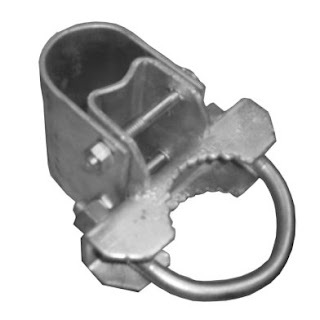 When you want to secure your gate, in either the open or closed position, simply turn the cane bolt to clear the bracket holding it in place and slide it down into a hole (typically drilled) in the ground. When you want your gate to swing freely, lift up the cane bolt and return it to its original position, resting on the bracket. The following images illustrate this concept. In the first image, the cane bolt is unsecured and the gate will swing freely. In the second image, the cane bolt is dropped into the ground and the gate will not move. What are cane bolts / drop rods used for? Cane bolts are used to secure all manner of gates, from large ornamental estate gates to smaller wood walk gates. Buy Cane Bolts Online - We offer 3 sizes (18", 24", and 48") of 1/2" diameter, black powder coated, bolts. One question that we are asked often is whether the Westbury Aluminum Railings that we sell comply with the IRC and IBC building codes. They do, and a newly published Code Compliance Research Report written by Architectural Testing - Certification Services is available to customers who need to get approval from local building officials. The report includes drawings and specifications for the Westbury Tuscany (C10 & C101) Series, Westbury Riviera (C30R, C31, C32, C33, & C34) Series, and the Westbury Veranda (C70) Glass Railing System. Note: If you really don't care about any of this and you just want to find a code compliant pool fence, click here. What's this BOCA code I keep hearing about? If you've been planning a pool fence for a while, then you've probably heard about something called the BOCA Pool Fence Code. BOCA (which stands for Building Officials and Code Administrators) Code was a regional building association that published standards for the construction industry from around 1950 to 1994. In 1994, BOCA was rolled into an organization called the International Code Council (ICC). The pool barrier code is still widely referred to as BOCA Code, even though, technically, thats no longer its name. The ICC (International Code Council) is a non-profit organization that started in 1994 through the joining of three regional building associations: BOCA, SBCCI, and ICBO. 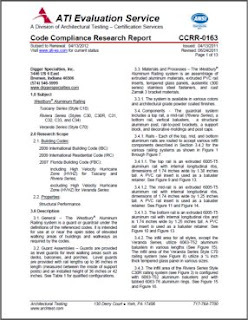 The ICC arose from the need for a nationally uniform set of building standards; and so in 2000, the council published the International Building Code, or IBC, which is a comprehensive set of codes, standards, and guidelines that cover everything from plumbing to fire safety. If the ICC is a non-profit organization, and not a state or federal government entity, why should we care what their codes say? After all, anybody can publish a set of codes or standards, but they don't mean anything unless they are enforced. The ICC is important because their codes (the IBC) are widely adopted by both state and local jurisdictions (and they do have the ability to enforce it). In fact, there's a good chance that your local building codes come directly from the IBC; maybe with a few additional rules thrown in for good measure. The part of the IBC that we care about for the purpose of this article is small, only a few paragraphs related to outdoor residential pool barriers in Appendix G of the International Residential Code: SECTION AG105 BARRIER REQUIREMENTS. 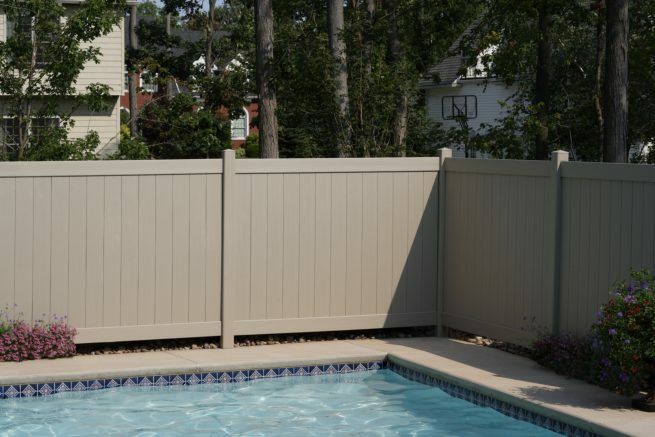 The codes, which encompass both fences and other barriers like stone/masonry walls, define the minimum safety requirements for a barrier around a swimming pool, spa, or hot tub. The intent the codes is to reduce the likelihood of drowning and injury by effectively restricting access; particularly unsupervised access by children. Below is a short summary of the most relevant codes. The entire pool barrier section can be found at the link above. Installed pool fences should be at least 48” high from finished ground level, as measured along the outside of the fence and should have no more than a 2” gap from the bottom of the fence to the ground . 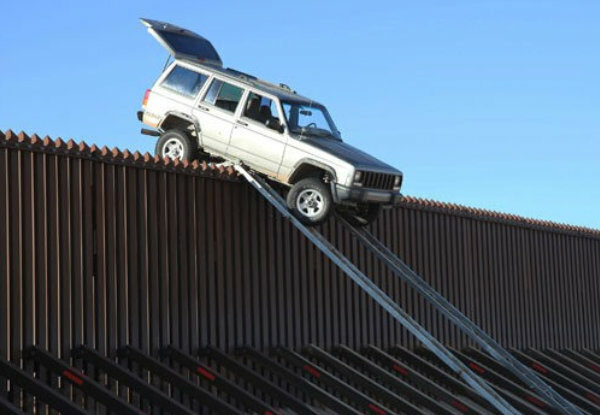 The fence should block anything more than 4” in diameter from passing through one of its openings. The fence or barrier must not be climbable. If made of stone or brick (ie. a brick wall), it should not have protrusions or indentations other than normal construction tolerances and tooled masonry joints. It must also be positioned far enough away from permanent structures so that they do not provide climbing assistance. Pedestrian Pool fence gates must be self closing, must open outwards from the pool, and must have a self latching/locking device. Gates that are not meant for pedestrian use must have a self latching device. The following code applies to chain link pool fences. 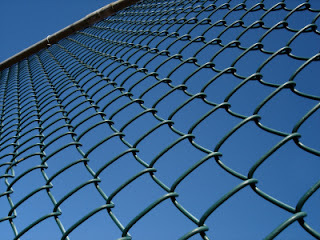 Chain link fences should have a mesh no larger than 2 1/4 inches unless the fence is provided with privacy slats fastened at the top or bottom which reduce the opening to 1 3/4" or less. Lattice type fences should have no opening more than 1 3/4 inches between diagonals. A pool fence is an important line of defense against accidental drownings, but it is not the only step that can/should be taken. Visit the Consumer Product Safety Commission for some excellent resources regarding swimming pool safety. 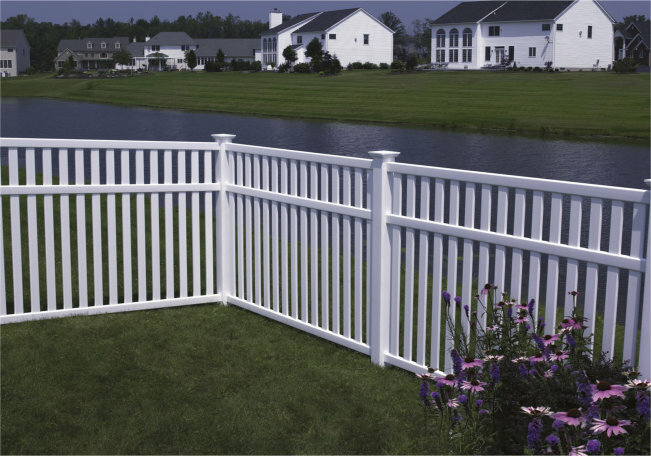 *Make sure that any fence also meets your local codes by calling or visiting your local building department. The Good news is that most fence manufacturers have pre-fabricated fence panel styles that meet ICC Codes (and often, but not always, local codes). 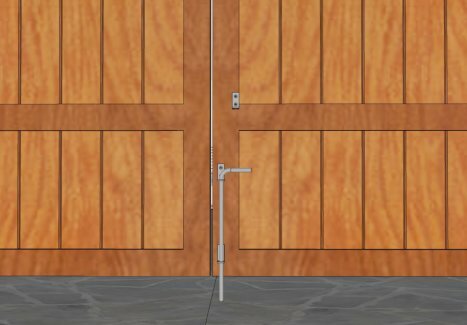 All you have to do is install the fence according to the manufacturers instructions and choose code compliant hinges and latches for your gates.